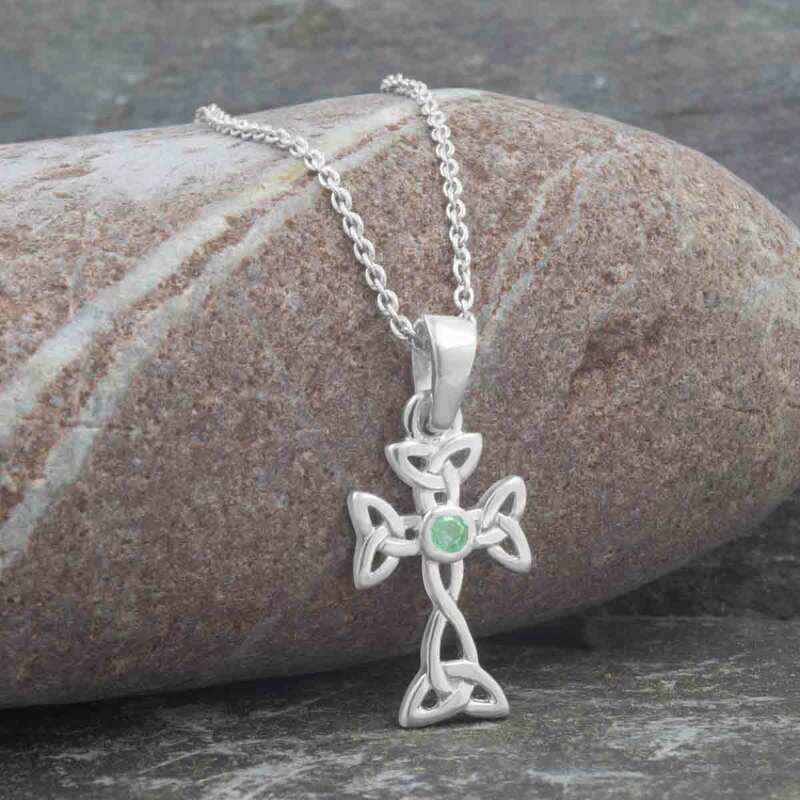 Classic Sterling silver Celtic cross with emerald center gemstone setting and stylized trinity knot decoration. Measures 10mm wide and 20mm high (excluding bale). Handcrafted in Dublin and hallmarked at the Irish Assay Office in Dublin Castle. Fitted with 18″ sterling silver chain.